NSHM’s goodwill ambassador, Shri. 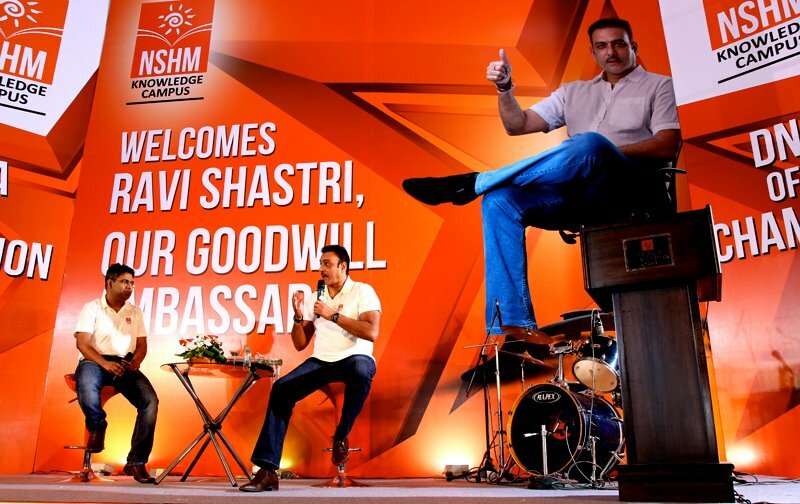 Ravi Shastri, was officially introduced at a talk show, held on 8th July, 2014 at the Lalit Great Eastern, Kolkata. The event anchored by Mir Afasar Ali, was attended by a host of popular faces from the media, entertainment, sports and other industries. With the legendary cricketer on the hot-seat, the session sought to decode the ‘DNA of a Champion’. A series of questions from Mir and the guests was fielded by him in great style. The event was also streamed live on Google Hangout for the online audience. The show turned out to be a great success and marked the wonderful beginning of NSHM’s association with its goodwill ambassador.